If due to an air or sea accident, you able to reach a island, but unfortunately you do not find a human settlement we will explain how to survive. 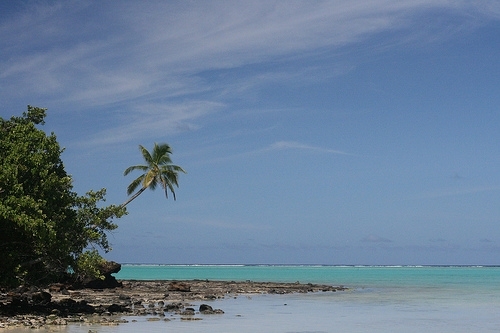 In the Pacific there are more than 30,000 islands and many of them are uninhabited. Currents, waves and sharks make the seas of the Pacific inhospitable, if you are a victim of a shipwreck must immediately reach the mainland to escape death. If the ship, yacht, boat, fishing boat… on which travel is victim of any accident, the advice is to take out all the one which will come in handy to survive on the life raft. Before leaving the boat you must launch an SOS via radio to alert rescue teams. If the boat on which you are traveling does not possess a life raft, take a lifesaver or an inflatable vest or anything that can help you to float. If unfortunately you don’t find any floating support, swim sideways keeping your head above water, letting yourself be carried away by the water flow as much as possible. A man without clothes can swim for about 150-210 minutes with a water temperature between 18 and 21 degrees (64°F – 69°F). If the sea temperature is over 20 degrees (68°F), a man can survive in the water for more than 6 hours. In the Pacific Ocean a family was traveling when the yacht is overturned because of a big wave. After the death of their parents, the three sons survived remaining attached to the hull for a week. Then they decided to swim, in waters dominated by sharks, to reach a deserted island about 5 miles away. After 7 days of stay on the island were rescued, the boys drank rainwater and ate berries. Other survival stories: link. The dangers that can arise when you are in the water are: hypothermia, drowning and muscle cramps. The hypothermia occurs when the body loses its heat because of a continuous cooling. The symptoms that you have are: cool and pale skin, fatigue, weak pulse, difficulty breathing, swelling of the limbs. The drowning for thermal shock is a collapse of the cardiovascular system caused by an abrupt immersion in cold water. When you approach to an island, and you notice that the sea current is too strong, do not swim upstream trying to face it, because you waste quickly energies and you risk drowning from exhaustion. In these cases it is best to swim parallel to shore until you feel the pull of the current, take advantage of this current until you reach the beach. If the island is surrounded by cliffs look for the easiest point to access to the mainland, if you are experienced climbers you can embark on climbing. As soon as you arrive on the island the first thing you have to do is explore it to see if there are inhabitants. If the island is deserted or too large to explore it all at once, priorities are water, food and shelter. To get a sense of the size and natural resources of the island, you have to reach the highest point of the island. 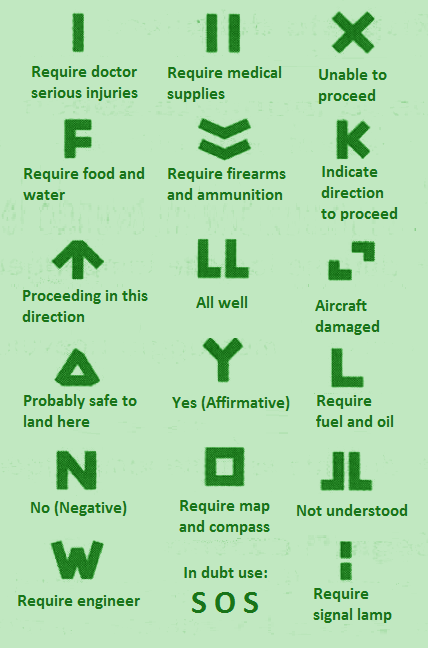 To be more easily visible by rescue teams or from any ships and aircraft passing, light a very smoky fire and draw in the ground a signal for asking help (International Ground-to-Air Signal Codes). To learn more on the methods signaling for help, look this post. 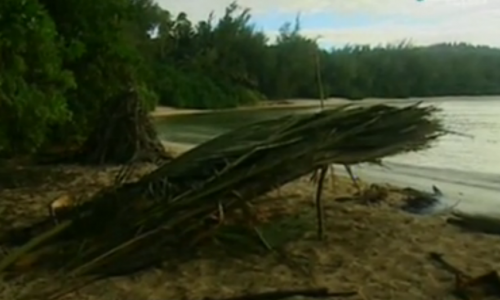 In the absence of a reflective lens to start a fire using the sun’s rays, you can use the technique of the Polynesian natives: the fire plow. 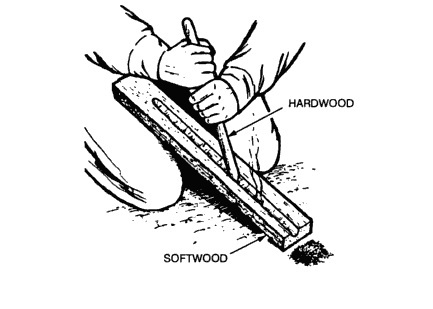 The technique consists in to rub a hardwood stick on a softwood board to produce sufficient friction between the end of the stick and the groove in the board, to create enough ember to turn on the tinder. 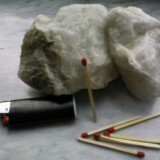 When you’re on an island, the exposure to heat, wind, rain and sea salt can be harmful to your health. You have to build a shelter in order to protect yourself from rain and wind, and to protect your skin from sunburns and to avoid sunstroke. Build the shelter in a open area allows you to be easily seen by rescuers, while built a shelter in a covered area or in the bush will protect you more from the rains and the scorching sun. Avoid build the shelter too close to the water, because, if the sea level increases, your shelter would be submerged. Usually in the equatorial or tropical islands the wood is not lacking. 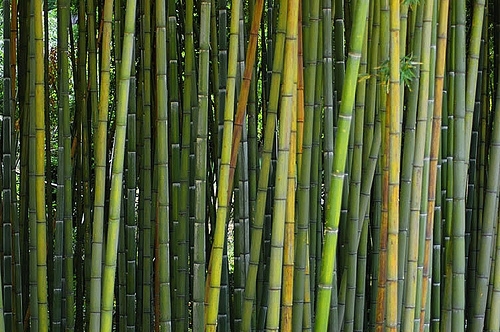 Use the trunks of soft trees to build the framework shelter, the bark to tie and the palm leaves to cover. Example of shelter against the rain and the sun. To protect yourself from the sun and saltiness you can extract a little oil from the pulp of a coconut and use it like a sunscreen. To do that you have to chop up the coconut pulp with a stick until you get a clear liquid. Very often some islands are not populated for the lack of drinking water sources. Surely one of the classical methods to hydrate yourself is drinking the juice of the coconuts. The coconut palm is one of the most popular plants in the Pacific and not only. 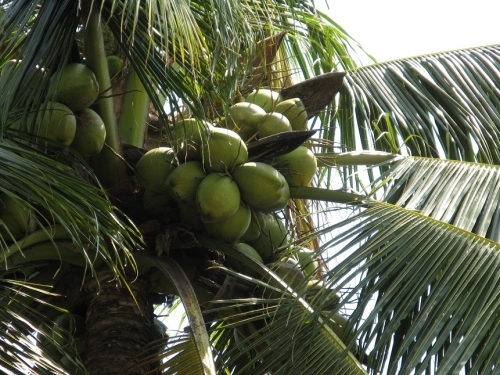 The coconut palm is also called the “tree of life”. 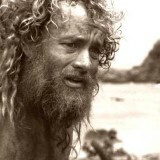 In several cases of survival, the survivors have survived for weeks by eating only coconuts until help arrives. A coconut contains vitamin C, carbohydrates and a lot of potassium, which is one of the elements that the body loses sweating. The biggest problem to catch a coconut, lies in the great height of the palm, in fact, in order to seize it, you must climb the tree. There is a method used by the inhabitants of these islands, and consists in climbing making pressure on the trunk with the palms of the hands and the feet, alternating the movement of hands and feet using the force of the adductors. To detach a coconut from the tree continue to turn in on itself until it comes off. Remember that green coconuts contain more water and are much more nutrients than older ones fallen to the ground. To get off from the palm slipping slowly down the trunk with the help of hands and feet. Stand under a coconut palm, especially if it’s windy, it can be very dangerous. If a coconut falls on your head you could die. If, for example, a coconut of 1 kilo falls from a height of 10 meters, the force of impact generated is of 1 ton. Many people each year lose their lives because of this bizarre incident. In tropical areas the rains are a vital source of drinking water. Always stock up rainwater. 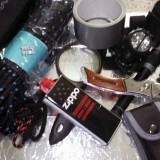 You can tie a rag or cloth to a slightly inclined trunks, placing a can or a palm bark under the “faucet” made with cloth. In an island to find food you can fishing, in this case you can build a good harpoon using the bamboo, which is very strong and sharp. But you have to know well the edible fish, in the tropical seas there are many poisonous fishes and some species attack humans. Do not eat fish without scales. Do not eat fish does not have the look of a classic fish. Avoid those with too flashy colors. Do not eat pufferfish, zebra fish, weeverfish and sea cows, they are poisonous. Never eat the internal organs (especially never eat the liver). You can eat the shellfish that are located in far waters. Do not eat dead fishes, but only just caught fresh fish. You can eat crustaceans such as crabs and shrimps (cook them alive steam or roasted or boiled). If you find food in abundance, you can keep them smoked or dried in the sun. To fish you can use the poison contained in the roots of Derris plant (Derris elliptica and involuta). Remember that the greenest roots contain more rotenone (this venom is harmless to humans but the fish that comes into contact with this substance dies). 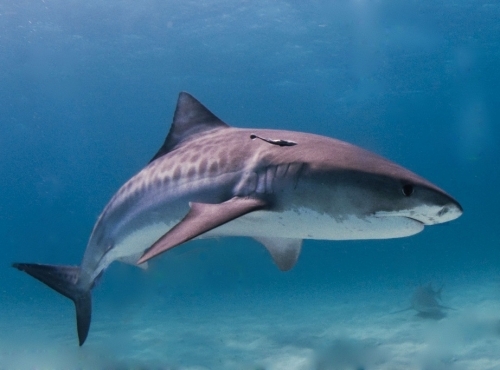 When you dive for fish does not stray too far from the coast, you might encounter sharks. Stay away and do not put your hands in the corners and crevices of the seabed, can hide poisonous fish (eg. moray eels) ready to attack. 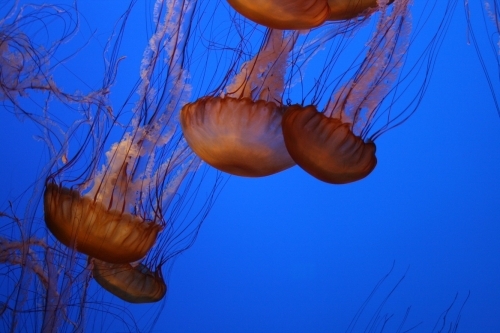 If a jellyfish stings you, an effective method to treat the sting is to put a bit of urine above. The urine acid neutralizes the proteins of the sting. Sharks always attack people without clothes because the glittering reflection of the skin generated by the sun remembers the shark to fish, but if you go in the water with clothes, you will have less chance of being noticed. If you have wounds, the blood scattered in the water could draw the attention of the shark towards you. sharks are primitive animals and this will be enough to scare them. If after a period of stay on the island, you have never seen on the horizon a boat or an aircraft, you can take the decision to abandon it to go to seek help elsewhere. 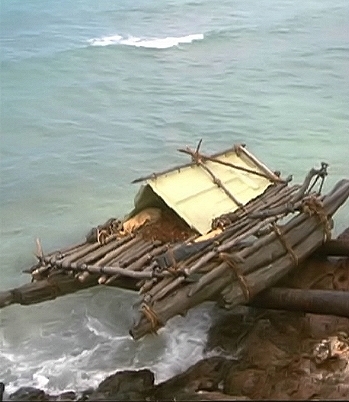 A method to escape from the island is to build a raft. 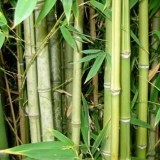 For build the raft choose the bamboo which is very resistant and floats easily, thanks to the hollow inside the canes. Cut a bamboo trunk is very difficult, even with a knife, to cut down it you have to burn the base to weaken it. To build a raft choose a simple and stable design, the ideal would be to try to imitate the structure of a catamaran. To make the sail you can weave palm leaves and then use a hard wood for the mast. Create oars and rudder using the plants on the island. The raft could become very heavy to move and bring up to the sea. Built the raft on a bridge (made with large bamboo timber) so you can slide it into the water when you are ready to go. Before leaving the island you have to studied the weather and the sea for a certain period. You have to leave with calm sea and wind down. Remember that on the raft will do very hot because the sea reflects sunlight, then built a large and thick sail for protect yourself from the sun. With the scorching sun you will risk heat stroke. On a raft at sea your skin will dry very quickly because of the salt water spray, before leaving the island make a supply of coconut oil to moisturize the skin. Before setting out, make a supply of coconuts, water, small fish and insects (that you will use like bait to fish on the raft) and bring all you can come in handy without weighing down the boat too much. Leave at dawn and when the waves, near the island, are low. When the heat becomes unbearable, take a dip in the sea to have a bit of refreshment. Remember to bind yourself to the raft, if the raft moves away too much from you, surely you will not being able to reach it again. You can drift for weeks before being rescued by someone or to find a land inhabited. While traveling you’ll have to keep the boat efficient repairing any damage at the raft. To eat you can catch fish with makeshift bait, and eat algae. If you end the water supply, hold the thirst and wait for the rain to make a new supply of water. Never drink the sea water or your urine, they kill you much sooner than expected. Although conditions on a raft are very uncomfortable, always try to rest to keep efficiently the body. The seas and oceans of the tropical and equatorial areas of the Pacific and Atlantic are crossed by several shipping lanes and is only a matter of time and patience that a ship will find you. When you see a boat, try to attract its attention by all means you possess, if you have a heliograph create flashes of light to ask for help. Shout, move your hands from the top down, shake a colored shirt or the sail (a palm leaf). If the ship sees you, you can go home safely … maybe!